The pressure is mounting for a special session to raise the taxes that failed to pass as the legislature adjourned April 9 and “fix” a “doomsday” budget with cuts that had been specifically designed to scare up votes for tax hikes. Details have not been worked out, but legislators have been advised that Gov. Martin O’Malley will likely call a special session for the week of May 14. Many of the signers are directly affected by the budgets cuts, including the largest public employee unions and teachers unions, which are sponsoring the “doomsday clock,” ticking down next to the letter. But they are also joined in signing the letter by dozens of social service organizations that serve the developmentally disabled, families in need, the mentally ill, child care, struggling schools and health care. This morning (Monday), the organizations advocating the special session will be joined by representatives of eight faith groups, representing Episcopalians, Lutherans, Presbyterians, Jews, inner city pastors (BUILD), the United Church of Christ and Seventh-Day Adventists. The push for a special session, largely to pass tax increases and shift teacher pension costs onto the counties, has gotten some pushback from Republican legislators and conservatives who scoff at the idea that the budget is being cut drastically when the total $35 billion budget actually increases almost $700 million, despite the cuts. Americans for Prosperity, a leading Tea Party organizer, is circulating its own letter petitioning O’Malley, Miller and Busch not to call a special session. Charlie Cooper of the Maryland Education Coalition, which advocates for higher funding of the neediest schools, debunks some of the arguments against the special session. 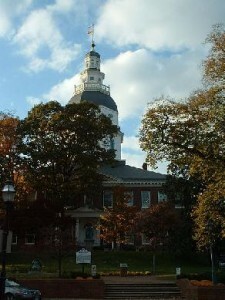 The Maryland Citizens’ Health Initiative, headed by Vinnie DeMarco, is particularly anxious to have the General Assembly return and pass the tax package, which includes a 70% increase in the taxes on cigars and smokeless tobacco designed to increase health care spending but also reduce usage among price-sensitive young consumers. Here is the full list of groups signing the letter asking for the special session. Community Law In Action, Inc.